We’ve just been nominated for the Versatile Award! As travel bloggers, it’s always nice to receive this kind of recognition. Many thanks to Rachel from Let’s Grow There for the nomination. Building up a travel blog and getting some traction with it is a tough slog sometimes, so it’s always very encouraging to be mentioned by your peers in the travel blogging community. Like us, Rachel and her husband love to travel and they love to share their incredible experiences on their travel blog. Don’t forget to check them out here! So what is the Versatile Blogger award? The Versatile Blogger Award is given to new bloggers by their fellow bloggers. It’s designed to encourage new bloggers to keep working hard and to help readers discover new blogs. Of course, the award comes with some rules. So what are the rules of the Versatile Blogger Award? – Write and publish a blog post thanking and linking back to the person who nominated you. – In that post list seven random facts about yourself. – Lastly, nominate up to 15 other blogs who you follow and that you believe deserve recognition for their hard work too. Simon and I met at the church. No, not a real church! The Church was a Sunday afternoon club in Kings Cross, London, where Aussies, Kiwis and South Africans would hang out, drink and dance to classic rock. Let’s just say it wasn’t the classiest place in London but it was a whole lot of fun! Who’d of thought we’d get married after meeting there! We have two really old Bernese Mountain dogs, our furry babies. Our boy Murphy is ten and we think our girl Meggy is around the same age although we’re not quite sure as she’s a rescue. We both used to hate hiking until we visited Lord Howe Island. Because of the windy weather we couldn’t go out snorkelling or boating so we resorted to hiking around the island to make sure we saw it. We fell in love with it. Now hiking is our second favourite thing to do when on holiday, after snorkelling. 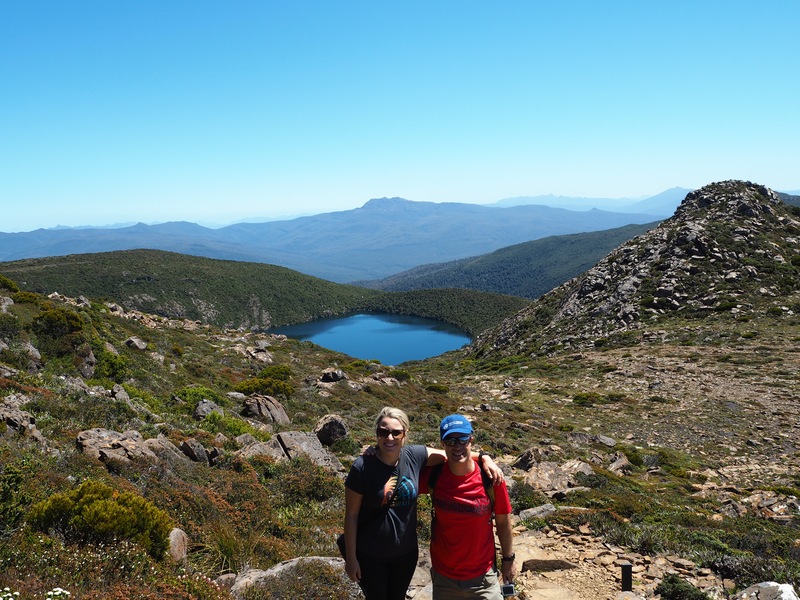 Hiking in Tasmania, our favourite Australian State. 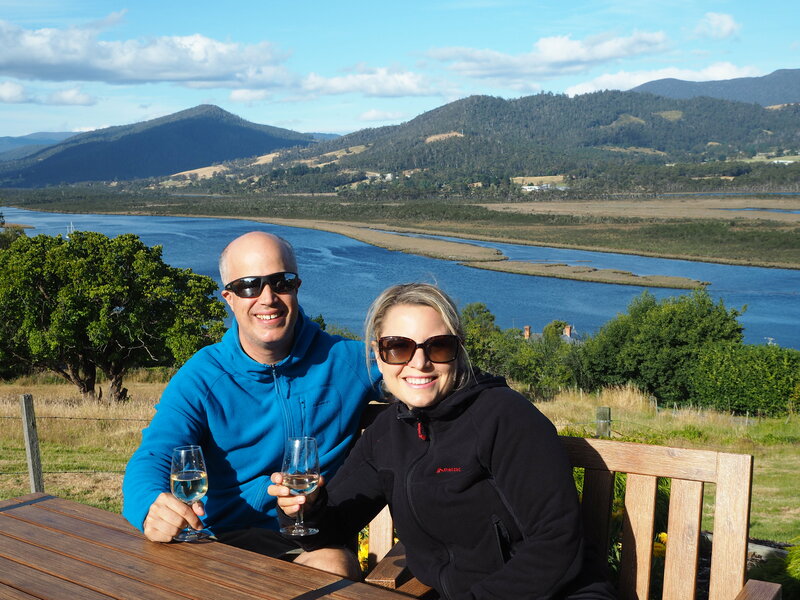 Our favourite place in Australia is Tasmania and we love to visit at least once a year. Our first trip together was to Bruges in Belgium. It’s such a pretty little town. We’d love to travel full time for a while and stop off in Mexico for six months to fully explore it. 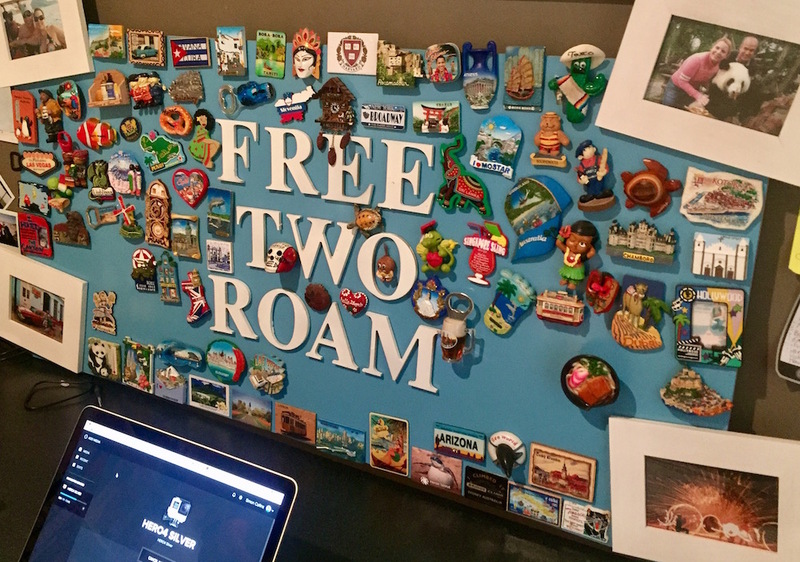 We collect fridge magnets from the places we visit. Yeah we know that’s a little tacky but it helps keep our memories alive!